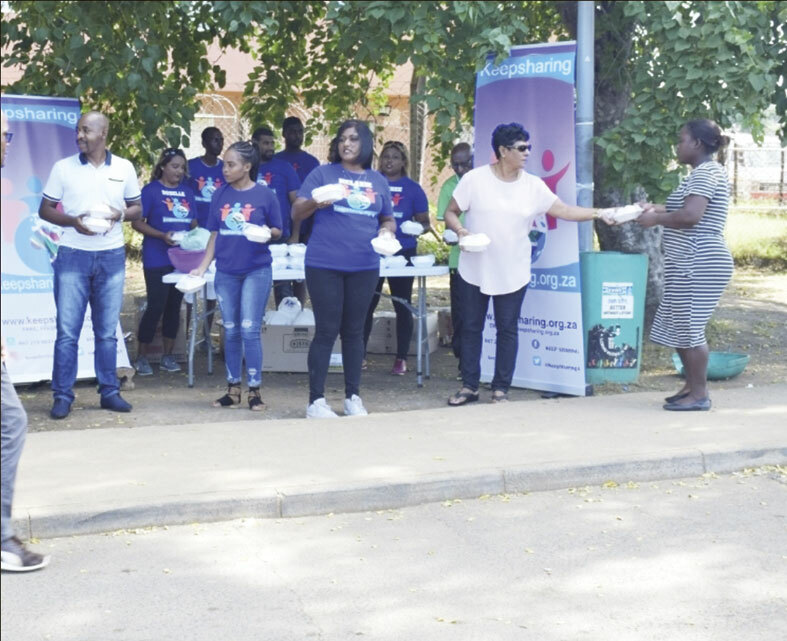 More than 500 people at the Unit 10 clinic were treated to a sumptuous meal prepared and provided by Phoenix based non-profit organisation, ‘Keep Sharing’. The organisation opted to cater for to those who frequent the clinic and often wait for several hours in long queues to be attended to. The organisation added that many people arrive early in the morning and don’t carry any food to eat and don’t have breakfast before they leave. The patients were ecstatic to receive a plate of chicken biryani while they waited in line and thanked the organisers of the feed from Keep Sharing. “It goes without saying that we live in a country where the cost of living is ever increasing and hundreds of people daily go without eating a decent plate of food. It is up to us that are able to provide to at least do so once every day in different areas. It’s a kind gesture that goes a long way. “We need to break free from our daily lives and do more charity as there are thousands of people in Phoenix alone that are struggling to make ends meet,” said organisation’s PRO, Michelle Lucthman. wait for our medication. We sometimes sit at the clinic the whole day, and wait to go home and eat. And because most of us are elderly it is important for us to have our three meals a day, because of all the tablets we take. We really enjoyed our meal and we hope that Keep Sharing remembers us in the future,” said one of the patients, Mrs S Chetty.